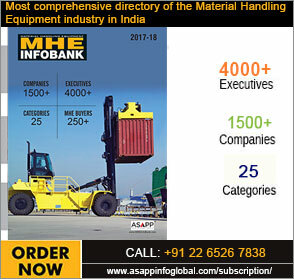 Crushing on site provides lower cost and greater efficiency. In fact, crusher and screening buckets attached to excavators and other earthmoving equipment allow materials to be processed for reuse, right where they are being extracted. Motor graders have seen unprecedented growth in the past couple of years, which is expected to continue in the coming years as well with road projects continue to grow. 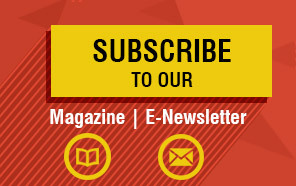 Shell Lubricants announced the launch of Shell LubeChat, an interactive, intuitive, and integrated digital platform designed to offer solutions to its valued customers that include distribution sales representatives, maintenance heads, and service engineers. Comansa CM has launched the new luffing-jib crane CML165, with maximum load capacity of 12 tonne and 50-m reach. 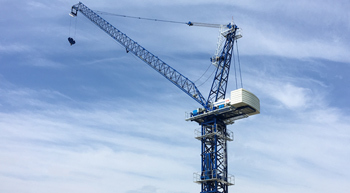 This new model is Comansa CM’s first addition to the CML Series, the factory’s luffing-jib family, which was created in late 2016 with the launch of the CML190 crane. 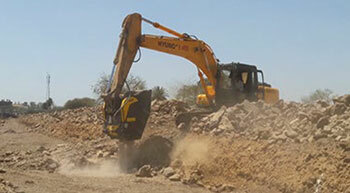 Komatsu Ltd and Trimble Inc announced that they are collaborating to improve their customers' ability to exchange 3D construction site data between Komatsu and Trimble construction software to make managing mixed earthworks fleets easier and allowing for a more holistic view of site operations. Leading global construction machinery manufacturer XCMG has recognised several internal project teams as winners in its annual Green Creative Design Awards (the GCD Awards). The projects ranged from micro mobility improvements for heavy machinery to a new lean manufacturing process, with each supporting the company’s goal of using ambitious sustainability goals to drive cutting-edge research and development (R&D). thyssenkrupp connected their machinery of the materials division via a new digital platform. Thanks to toii, all machines can communicate with each other. Due to predictive maintenance, the platform is also supposed to forecast the necessity of machine services in the future. Construction Development Corporation Ltd (CDCL) has built its business around professionalism – specifically, providing high quality in a timely fashion. 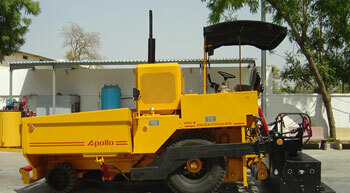 Helping the Bhutan business deliver on its promises are Apollo WM 6 HES mechanical paver finishers. The machines are responsible for CDCL’s construction of roads, bridges and other infrastructure projects.